Mosquito Control Marietta, GA | Bug-Off Exterminators, Inc.
We regularly exterminate mosquitoes, termites, ants, cockroaches, and countless other pests. Our services aren't limited to homes, either; during the more than 30 years that we've been in business, we've treated restaurants, hotels, government buildings, healthcare facilities, and other commercial properties. Our treatment includes residual spraying, which stays effective for up to several weeks and can kill adult mosquitoes within days. Larvicides can be used when these insects are still in the immature larva stage. We spray the perimeter of the backyard, including its shrubbery. The insecticides don't harm plants. We also install mosquito traps which provide breeding areas for mosquitoes and prevent the eggs and larave from developing into adults. The weather in Marietta, Georgia can be hot, humid, and rainy, creating the perfect environment for mosquitoes. These insects can make it impossible to enjoy yourself outdoors, so rather than going through another summer with them around your yard, consider hiring Bug-Off Exterminators, Inc. for mosquito control. We'll exterminate the adult mosquitoes and prevent them from reproducing. We provide a misting treatment and trap installation so you as a homeowner will be better prepared should other mosquitoes appear on your property. When you call Bug-Off Exterminators, Inc., you'll receive a thorough inspection to identify the places where mosquitoes are breeding. It's important to know that mosquitoes need water to lay their eggs in; even the shallowest bit of standing water will suffice. We'll check any ponds, creeks, flowerpots, and birdbaths for signs of eggs. They may even be in the plastic pool if you have one. 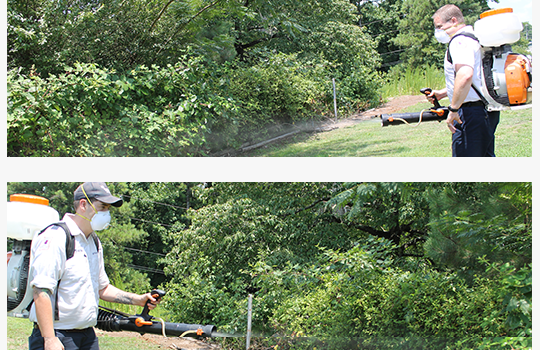 The technician will spray the insecticide using a leaf blower backpack sprayer. This is best for treating bushes, tall grasses, and weeds because mosquitoes are notorious for living in such thick overgrowth. We recommend that you do what you can to cut down on excessive vegetation. 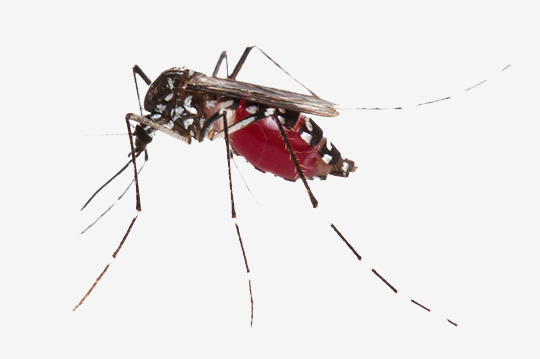 Mosquito traps can be installed to provide daily extermination of eggs and larvae. It is also ideal to remove standing water from your property. You can also regularly clean birdbaths and children's play pools. Bug-Off Exterminators, Inc., is an active member of the Georgia Pest Control Association and the Home Builders Association of Georgia, and our employees undergo regular training for continued registration as pest inspectors and exterminators. Call today to keep mosquitoes away.